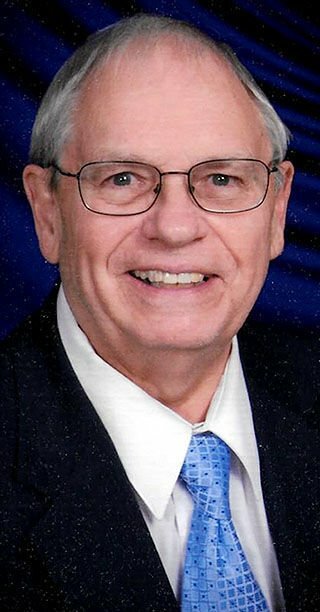 Garold R. Coulthurst, age 84, of Eau Claire, WI passed away Monday, April 1, 2019, at Highview Hills Senior Living in Lakeville, MN. Gary was born on November 12, 1934, in Stevens Point, WI to Garold and Elizabeth Coulthurst. Gary graduated from PJ Jacobs High School in Stevens Point, WI in 1952. He attended Marquette University in Milwaukee, WI and graduated with a Bachelor of Electrical Engineering degree specializing in Electrical Power in 1957. He was a Sergeant in the United States Army in Milwaukee, WI and Minneapolis, MN from 1957 to 1963. He married his sweetheart, Angie Skalski on June 13, 1959 in Stevens Point, WI and was married for 53 years until her passing in October 2012. He worked for Northern States Power Company/Xcel Energy for 33 years. He started out as a Distribution Engineer in downtown Minneapolis, MN for two years. From there, he was transferred with Northern States Power Company with his wife, Angie to Eau Claire, WI and again to Amery, WI as a Division Engineer. His last transfer with NSP was to Eau Claire, WI as a Substation Engineer. Here is where they raised their 2 daughters and lived the rest of their lives. Next, he became a Distribution and Substation Engineer in distribution planning and engineering and then was successfully promoted into the management career path at NSP, General Superintendent of the Central Division. Next, he was responsible for the maintenance programs, design standards and operating guidelines as a Manager of Division Services in Eau Claire. His last position with NSP was as Manager of Special Power Supply Projects. He headed the System Operations Department and developed the database program for the outage management system which aided in expedient tracking of outage problems. Gary retired from NSP in July 1995. Also, he was an Electric Utility Instructor at Chippewa Valley Technical College in Eau Claire, WI for NSP employees to advance their careers. He was a licensed Professional Engineer. Gary loved spending time with his wife, daughters, grandchildren and family. His daughters moved him his last few years to Minneapolis to spend time with him. Gary was an usher on Sundays at Sacred Heart Hospital Chapel in Eau Claire, WI. He enjoyed swimming every day, working with computers, watching TV programs and movies, teaching and goofing around with his grandchildren. His favorite trips were to Disney World in Orlando, FL. He was described as being very sweet, for telling stories and known for his humor. Gary is survived by his daughters, Christine Siebenshuh of Eden Prairie, MN and Julie (Robert) Joswiak and grandchildren, Anna, Adam and Amelia Joswiak of Prior Lake, MN and sister Beverly (Ralph) Koziczkowski of Stevens Point, WI. Gary is preceded in death by his wife, Angie, parents, Garold and Elizabeth Coulthurst and brother, James. There will be a visitation from 10:30 to 11:00 a.m. on Thursday, April 11 at All Saints Church in Lakeville, MN followed by a Catholic service at 11:00 a.m. The Burial will be at St. Stephens Cemetery in Stevens Point, WI at 11:00 a.m. on Saturday, April 13.